Another year rushed by for the VMGuru crew and what a strange year it has been with several highs and lows. We have seen half of the VMGuru crew members performing a human vMotion to a new exiting and sometimes uncertain challenge. Martijn started as a Systems Engineer NSX at VMware, Anne Jan switched from Login to ConoScenza and started as a Technology Professional, Edwin somehow crashed in August on a low, but recovered quickly to start as a Solutions Architect North East EMEA at Veeam. 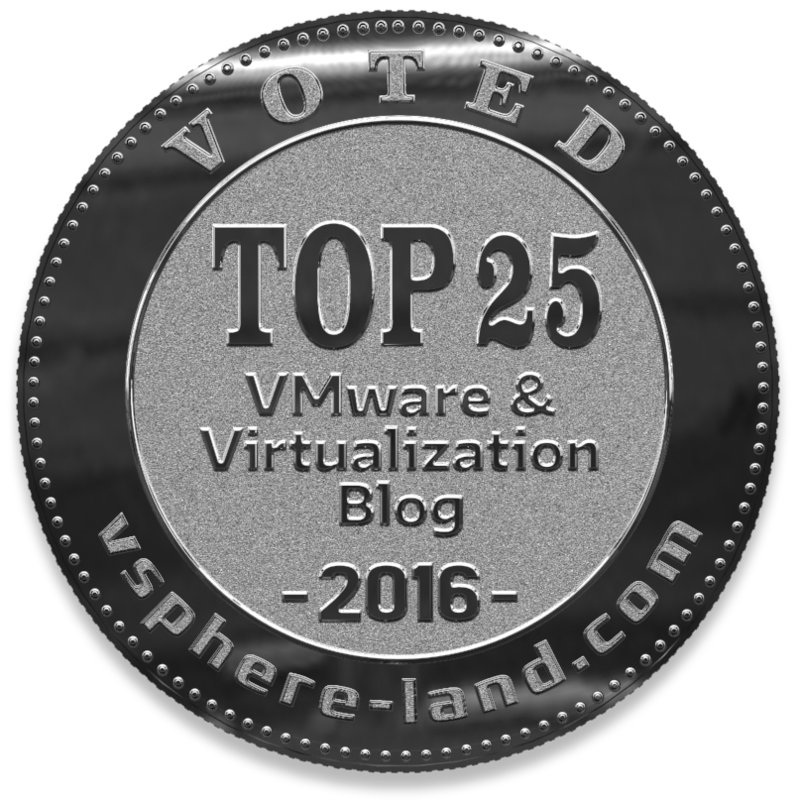 Every year Eric Siebert from vSphere-land holds a voting for the Top vBlog of the Year. There were 83 new blogs on the ballot this year, 12 new blogs made the Top 50 and and 7 new blogs made it into the Top 25. One blog fell out of the top 10 this year and the competition for the #1 spot was fierce. This year there was over 1600 votes. A lot of people have voted and on the first of July the results of the Top vBlog were published and VMGuru.com made it to the 18th place, which was an increase of 7 positions! At the end of 2016 the site got a complete and refreshing overhaul to this new layout you are looking at now. We think it looks awesome! In the menu bar, you can find all kind of categories like Useful Resources with Licensing and White-papers beneath it, vRealize with Automation, Log Insight, Operations and Network Insight, Problem Solving & Troubleshooting Tips, Product reviews & Comparisons, Networking and Scripting. Also they posted lots of new and hopefully interesting articles this year. 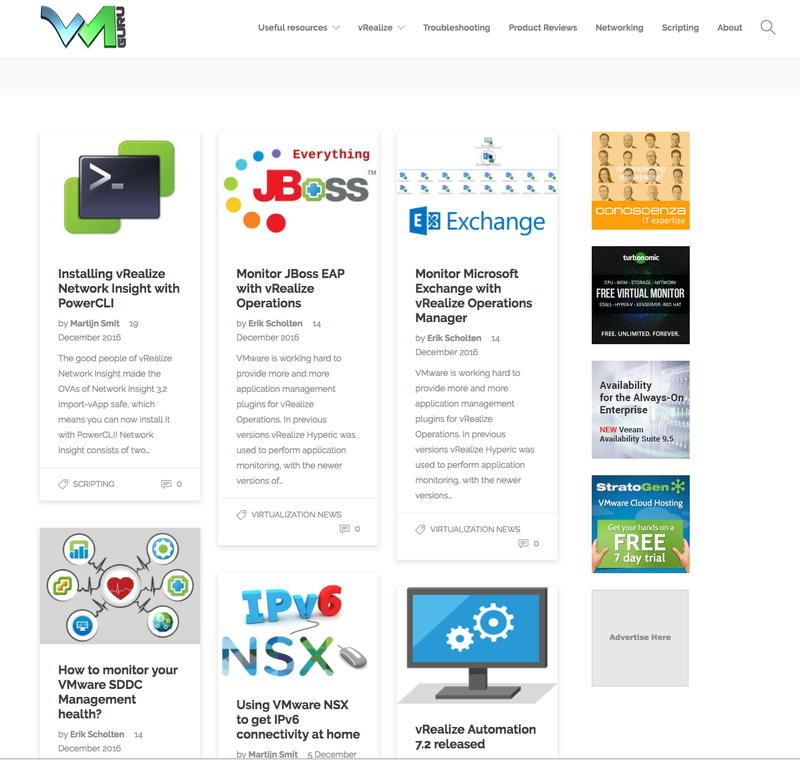 Ranging from vRealize to NSX Networking, from Scripting to Storage and so many many more. A big THANKS to all the sponsors for their continued support, with a special thanks to StratoGen, Veeam, Turbonomic and ConoScenza, who keep that VMGuru crew going. Also YOU, the readers of this blog, thank you for being such a loyal and great audience and we hope you keep coming back for more reading! 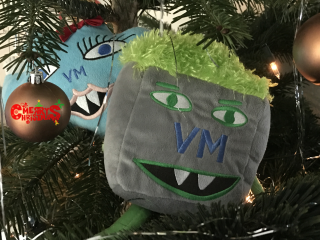 What did you particularly enjoy on VMGuru over the past year? What would you like to see more of in 2017? Please let them know! May your life be filled with joy, happiness, love and laughter!